I called my dad last weekend as I sat on the curb in a Starbucks parking lot, waiting for a tow truck to limp my broken motorcycle home. Besides discussing Easter, my cousin’s new golden retriever, and the brown stuff dripping from my bike’s fried fuel pump, I tried to explain virtual reality to him. 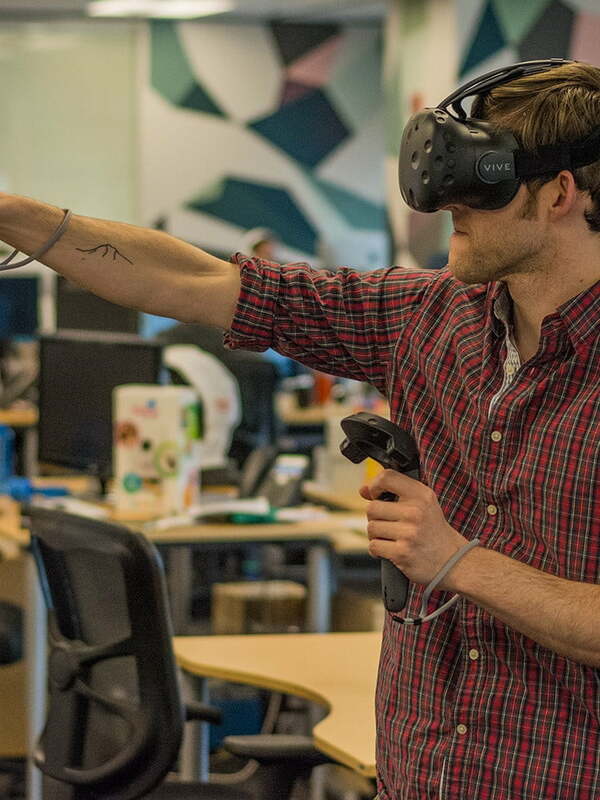 After receiving our HTC Vive Pre (dev unit) a couple weeks ago, my mind has been transfixed on the possibilities. “What would I use it for?” he asked. Use … like a tool? I didn’t have a good answer. He didn’t see the appeal. That’s pretty damning for a guy who has an app for turning on his Christmas lights. “You just have to try it,” I told him, dismissing his skepticism the same way 11-year-old me defended Rollerblades, or Magic the Gathering, or playing Diablo for seven hours straight. But VR deserves better than that. Words were failing me. Maybe we need a new way of explaining this whole VR thing to skeptics. I told a friend recently that unwrapping the HTC Vive was like unwrapping an iPhone in 2007, but that wasn’t really accurate either. The iPhone was the first consumer-friendly smartphone, a harbinger of a new class of devices. But it’s still a new way to experience old media. Cat photos existed before your iPhone, you just couldn’t fawn over them on a bus. VR isn’t just one device, either. It’s an entirely new medium. Like oil paints, or television, or photography. Present-day VR hardware reminds me of the mutoscope, those hand-crank animation machines you might have stumbled across on an Atlantic City boardwalk at the dawn of the 20th century. As you peer through a slit and turn the handle, they flip through a massive Rolodex of cards in front of your eyes to produce the illusion of motion — like a horse galloping. Novel. Stupid. Useless. Yet these machines were the predecessors of motion pictures. Movies! Easy Rider! The Godfather! Mad Max: Beyond Thunderdome! OK, poor example. All of them sprang forth from the same simple concept you can see at play in a mutoscope. But I can still see my dad trying one on a boardwalk in 1903 and wondering why he would want to see a horse gallop. That’s the disconnect. It’s not about the horse. Or in the case of VR, EVE: Valkyrie. Or even Fantastic Contraption VR, as much as I’ve enjoyed pulling wood beams out of a floating cat and using them to traverse platforms. The initial demonstrations we have of this technology will someday be looked upon as quaint as Georges Méliès’ Trip to the Moon. They’re early dabblings by artists still finding out how to hold the brush. What will my dad use VR for? I still don’t have a good answer for him. Judging from his daily activities, I’m not sure if MSNBC will ever be more entertaining in VR, or if anyone will ever build a leaf-blower simulator. Something will peak his interest, though. 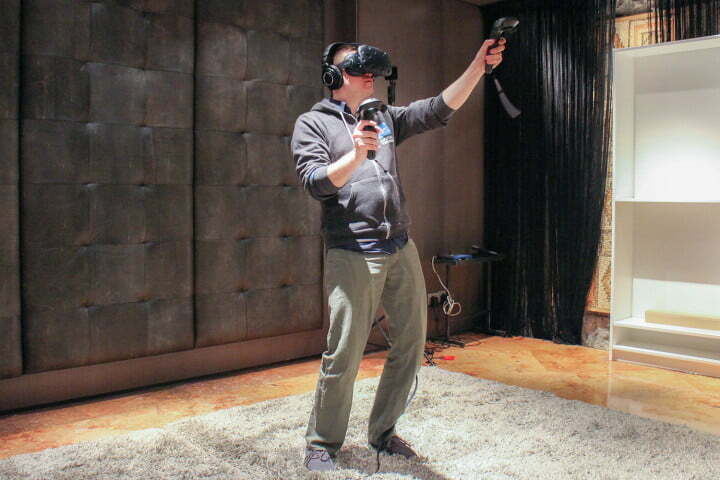 We’re barely getting started, but HTC and Valve Software are already turning rooms into holodecks with the Vive VR. Microsoft is figuring out how to have conversations with holograms. Brilliant young filmmakers are learning to tell stories you simply couldn’t tell on film. Doctors want to use it treat PTSD. Judges want to use it to bring juries to crime scenes. And the really good stuff — the applications so outlandishly amazing they haven’t even occurred to anyone yet — are all coming. So in the meantime, skeptics, if you want to understand why VR is going to be so big, you’re going to have to use something we used to use a lot before television, and computers, and VR: your imagination.